Since I just returned from vacation from Hong Kong, why not feature someone from there? 😉 Tina Leung is the Hong Kongese blogger and fashion stylist behind Tina Loves. 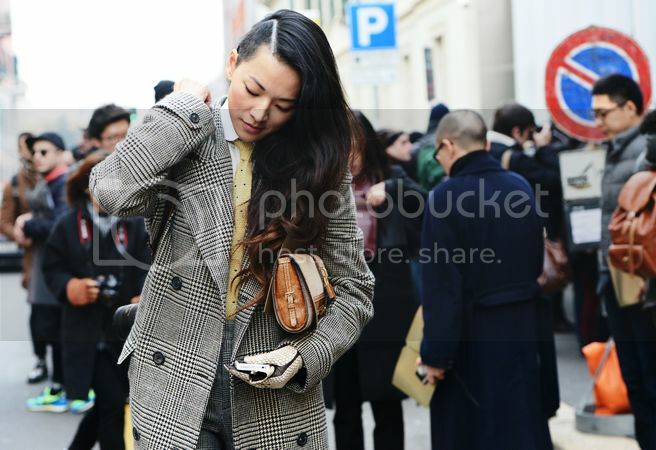 Perhaps some of you have seen her on street-style snaps but I discovered her blog through my sis. I enjoy her androgynous styling (much like I do with FriChic!). Tina has an edgy and eclectic style – her partly shaved head is her signature hairstyle! Her blog is a great read from a fashion insider’s perspective with coverage from various fashion weeks, events, interviews, and her personal anecdotes. Her most recent feature was in NY The Cut prior to the start of February’s fashion month. This entry was posted in Fashion and tagged blogroll, Tina Loves on March 1, 2013 by fauxionista. This entry was posted in Fashion and tagged blogroll, FriChic, H&M, ZARA on January 18, 2013 by fauxionista.